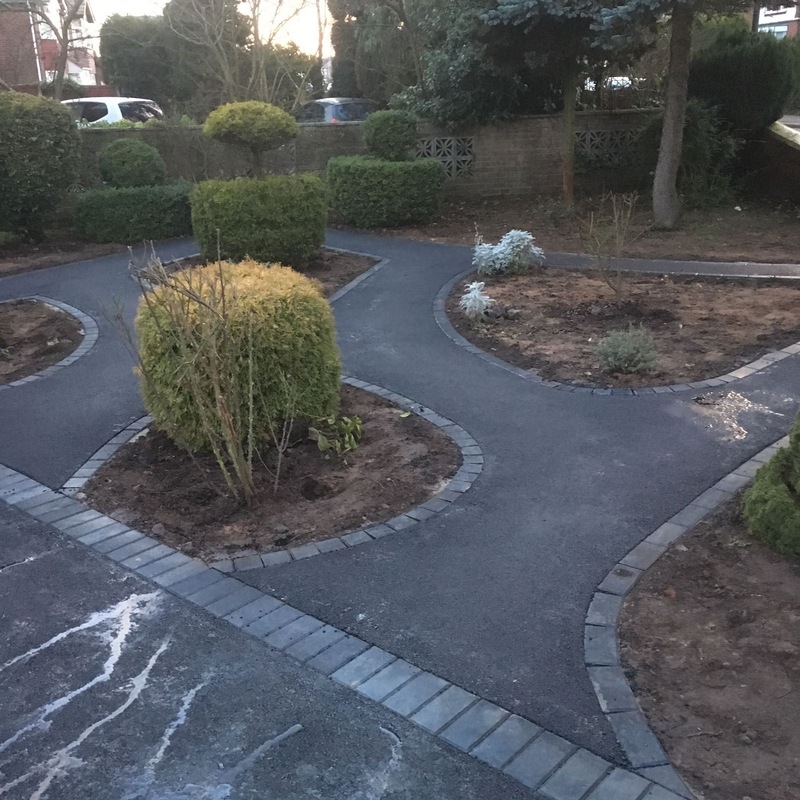 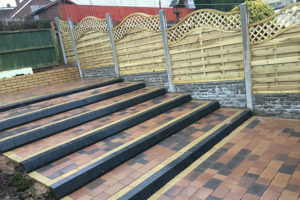 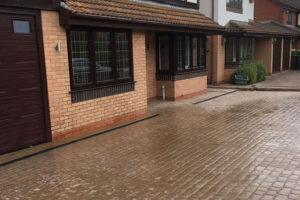 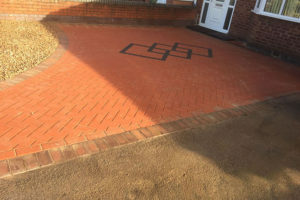 This is a recent driveway transformation featuring SMA tarmac and grey pavers to a large house in Northfield, Birmingham. 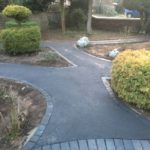 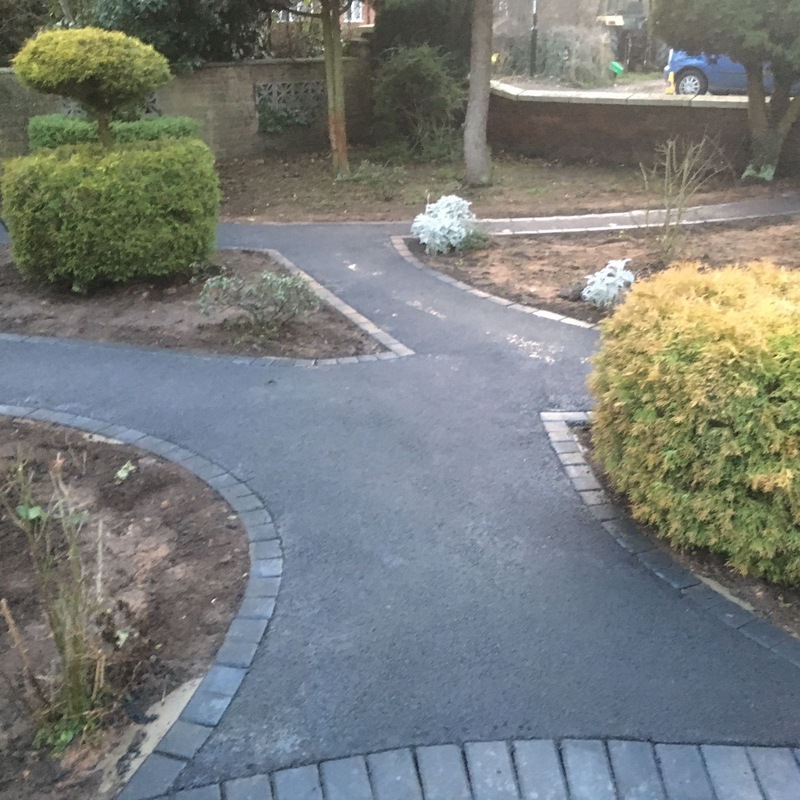 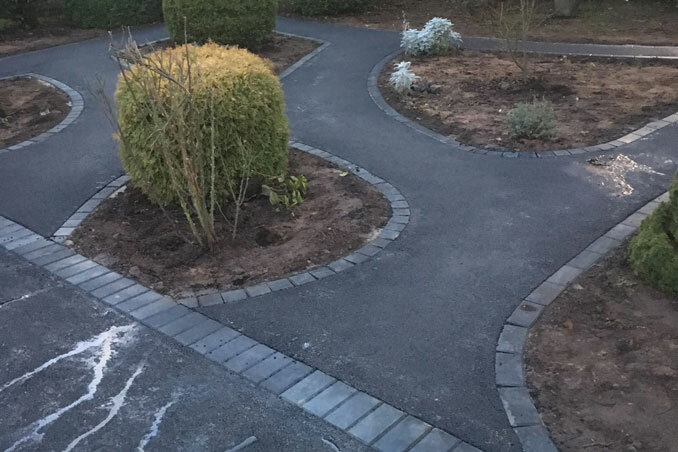 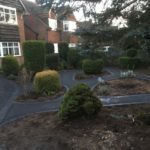 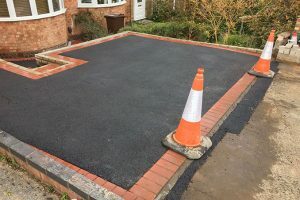 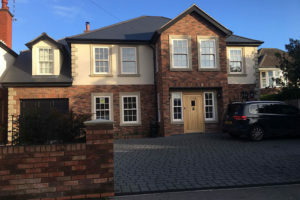 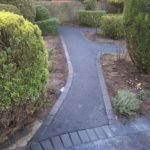 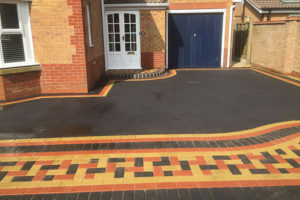 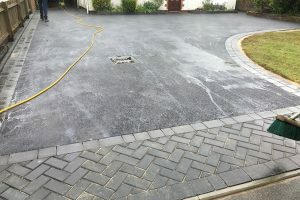 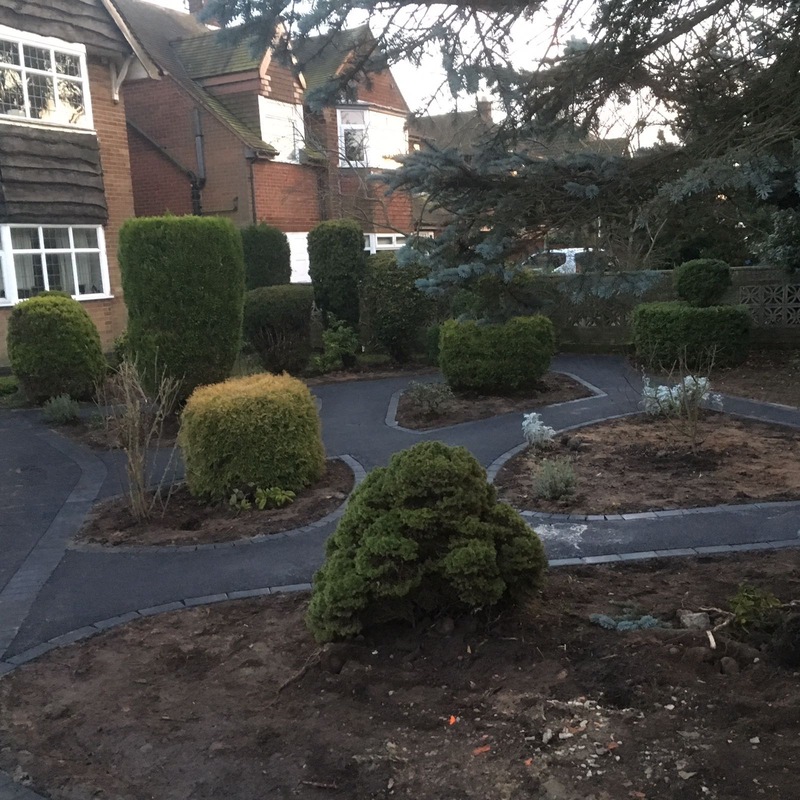 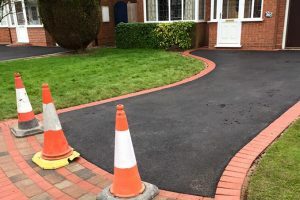 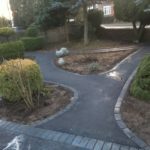 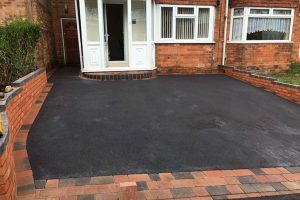 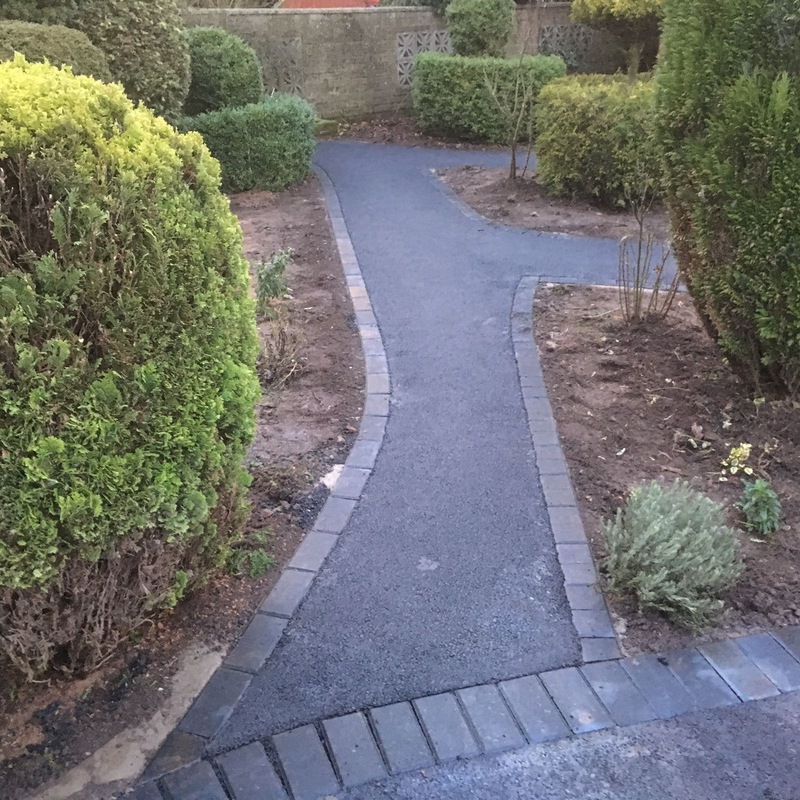 Featuring dark grey block pavers to the perimeter edges and at the front of the driveway entrance, this new tarmac driveway in Northfield really gives this house a generous amount of parking and a easy maintenance front garden. 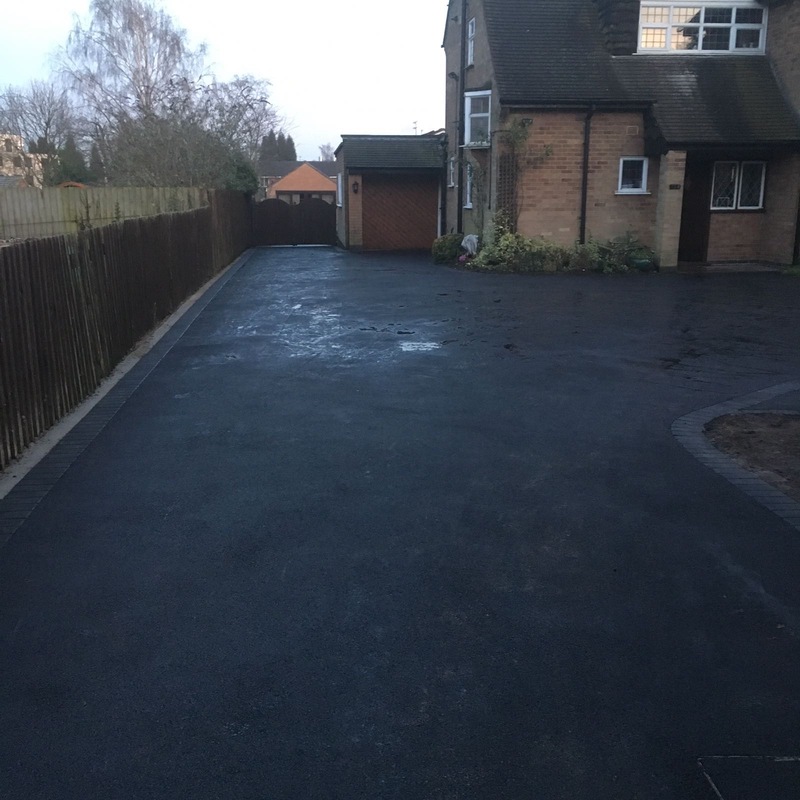 This is a drive suitable for 8+ cars and this new Drives 4 U driveway took approx 10 days to complete.